Spend Management, Invoice Management, Payment Management, and Contract Management Software. "the start of POS/inventory systems streamlining to GFF"
I like how the orders can be placed online and then once received, the final invoice is sent instead of being mailed, leaving the possibility of being lost or misplaced a step towards becoming more eco-friendly and efficient. I dislike that the ordering, receiving, and paying processes seems micromanaged and at times difficult to follow, especially when there are multiple parties ordering and receiving. It isn't very consistent when auto generating emails when orders are received so sometimes I don't get a confirmation until days later, after the cutoff for accruals. Searches for invoices can get especially confusing because there are multiple people attached to the order who approve/receive invoice. It is much easier for accruals to be planned/budgeted for. Also, if I have any questions about the orders, I can track who placed the order so I can follow up with them if there are any questions. Ariba is extremely easy to use and has a wide variety of capabilities. I've used Ariba for a number of years, but currently using it to manage contracts, invoices, and vendor relations. I've used some other competitors out there that just cannot compete with Ariba. They are best in class. Sometime the logins can be a bit tricky with different types of licenses. Ariba is one of the best solutions out there for vendor management, contract management, invoices, etc. 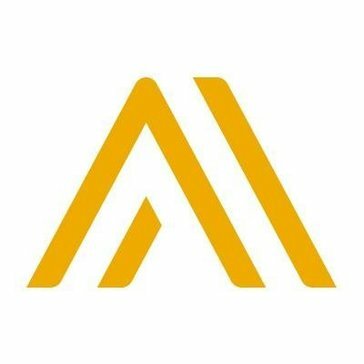 If you are looking to make a switch I would strongly consider looking at and investing in Ariba. My team and I are currently using Ariba in a multitude of ways. Mainly used to streamline contracts, invoices, and our vendor relations with one of our customers. Ariba solutions help to automate procurement and sourcing end to end right from sourcing till payment of the invoice to the vendors. We have realized significant savings in procurement process costs as well as reduction in process errors throughout the source to pay cycle. With the solution now only available as cloud, we have been realizing significant insfrastructure cost benefits as well. "Good software for accounts payable and procurement"
I like Ariba because it's as simple or detailed as you make it. You can view basic information of an invoice or you can click in to different subsections to get details. It's not a very intuitive software. It does take some time to learn how to use the system, especially when incorporating procure to pay. It's a great software to invest in. Make sure you take advantage of any training resources Ariba offers. It's a great one stop software to get information on invoices, their approval flow, and the coding of the invoice. It's easy to track where the invoice is in your payment cycle. A nice benefit is getting your vendors set up electronically. It allows them to upload their invoices into your Ariba queue and avoid the hassle to sending and waiting on paper copies. Our company moved from Oracle iPro to SAP Ariba and it's night and day. Ariba's catalog feature is intuitive, almost as if you are on Amazon, but overall it does take getting some used to depending on your configuration, because there are many ways to get lost if you don't know where you're going and that's where it's not as intuitive. It has lots of options for configuring your reports and also for searching in general. It's got tons of dropdowns and other corners where you could really drive some customization once you get used to it. I think it needs to be more intuitive and take a page out of design from mobile web pages or apps. A lot of the options are hidden and take too many clicks to get to. We have it rolled out company wide in order to make it easier for the general population in the company to order things like headsets in a clear, seamless way with "tiles" for categories and being able to search through our suppliers. I really like the workflow part of it, as it makes it easier to configure how you want your approval flow to be. It's also great for reporting as it's got a ton of alerts, notifications, and other customizable reports. "eProcurement Specialist - Ariba Power User and trainer"
I like the visibility of all transactions, the reporting features, how easy it is to remain compliant based on monetary release authority, as well as the fact that vendors can submit their own invoices against SOs. Ariba is user-friendly for the most part. I have trained over 500 external users and they don't face many problems. After submitting a couple of invoices they feel pretty confident. I dislike the fact that escalation rules are based on partition instead of Business Unit rules. I wish we could open different tabs in Ariba instead of having to create a new session if we want to multi-task without leaving the screen we are working on. I wish the ERP Push errors were more clear. Sometimes they make no sense to the common user, forcing the business to rely on ePHelp Desk more than they should. Ariba has a lot of compatibility issues with browsers and many times I had to ask external users to either switch browsers or adjust their compatibility preferences. I wish we could approve transactions through mobile phone (unless this is a limitation that my company imposes). Before implementing, do a complete assess of the local business requirements to ensure that you enable all the necessary fields. At the same time, avoid many customizations, which may become a complexity when it's time to update the system versions. We moved vendors who used to submit invoices to be entered in SAP by us, instead now they are Ariba Full engaged and they can enter their own invoices, taking this work off our hands and at the same time allowing them to have full control of their timing. It's a win-win. I have facilitated the implementation of Ariba in other countries that moved from a totally manual process now to completely online. With Ariba there is no need to save paper documents for audits. Auditors have access to the system and all supporting documentation can be attached to transactions. The work Ariba have done on the interface makes it all very easy to navigate and the inline help system is a wonderful addition for assisting our global users with how to do things. There is great flexibility in the workflows, but remember it is the Buyer who defines the rules of engagement so understanding that is key. In addition, if you do contact support I have to say the team is world class and stay with you until your problem is solved. At certain times of the day the system runs slow making it slightly frustrating to use, there could do with more alignment for companies that have master accounts with child accounts when it comes to reporting. Do your research, and ensure you have the correct engagements within your business and the client/supplier you are working with. From the seller point you get the PO's you may not have always got before as the requisition process is initiated from the Buyer side making it a lot cleaner. Flipping PO's to invoices makes chasing aged debt a thing of the past. "My 2 cents on Ariba"
In my particular organization it is integrated with SAP. Sometimes when changes are made in SAP the change in Ariba isn't instantaneous, you have to wait a few hours for the systems to sync up to each other. I have worked in other organizations that use other systems. Chevron is the first employer I have used that utilizes ariba. I thought it was kind of unique to the gas and oil industry, but the longer I have worked with it, I am realizing that maybe not. I can't comment on pricing and terms of ariba as it is taken care of by my organization and I don't know what to compare it too. It is a good place to store all contract records enterprise wide. It makes it so I don't have to call multiple people to find a particular file. "Ariba - from the user's side"
finding past invoices is not as easy as it should be. The interface is not very user friendly and it seems it still needs work on finding the right information. I've worked with other account management and procurement systems, and Ariba is one of the easiest I've worked with. It's easy to learn and users can easily understand and work on it, without extensive training. the follow up notifications help managers not miss the key dates to approve invoices, which allows the company to keep the payment timelines on time. The system is easy enough to not need a very comprehensive training, so onboarding of the system is really easy. Ariba is great in the sense that it combines so many features in the same spot - purchasing, vendor maintenance needs, accounts payable, travel and time sheets. Quick links are super convenient and it keeps great history of everything you did. Search function is very detailed as well. Ariba is slow at times and it logs you out in the middle of something. And even though it saves what you were doing, it's annoying that you have to log in again. In purchasing section some catalogs are linked not directly so it takes a bit longer to get to punch-out catalogs. Overall it is a good system once you learn all the links and shortcuts even though it is not the fastest - it is convenient. purchasing, vendor maintenance needs, accounts payable, travel and time sheets. It's storage facility and reporting for contracts. I have had experience of setting the fields up for the data to be recorded in the form as you enter the details of the contract. For example the term dates, value, category in which the spend sits. I enter a lot of forms and upload the corresponding contracts. I like the fact that it reminds you when the contract is coming to an end so that you can seek stakeholder feedback to give to the suppliers. Once entered the reporting dashboard can be set up to produce a record of all live contracts with the information from the form. Quality checks can be done to ensure everyone is entering the same required data fields. It is excellent for transparency and maintaining quality data. The disconnect between tasks and documents in projects for contract management and project management. Firstly when managing a supplier of 'A' status why is CM and PM different, these could be set up under the one project. When recording documents such as meeting minutes, risk logs etc. these are uploaded to Documents and then the Task is a different tab (I often duplicate the upload in the comments of the Task). This should be combined in some way. The templates assigned to a Task that have to be downloaded, completed and re-uploaded feel incredibly frustrating when you are working to deadlines and with increasing volumes of work..
Ariba is a sophisticated tool for engaging, managing and recording supplier interactions for one central system. Should you select Ariba it would be worth using your network to understand how others use the tool. I have used it in two companies and both have been different in their level of engagement. I would recommend all the modules, tendering, supplier management, contract database and MI. The set up and abilitiy to change are important. However, making step changes changes to the forms and process make the MI data less consistent. It takes time to set it up and I do not think it is possible to get it right first time. Beware of over complicating. The business problems I deal with are often related to engaging consultants to assist with a wide variety of business topics, from regulation, strategy, assurance, controls testing etc. I like that Ariba allows us to pay our suppliers and accounting to perform functions on our behalf. I use Ariba to pay suppliers. "Resourceful but not exactly user friendly "
The variety of functions to choose from is great! comes in handy as I am able to process check requests, a time sheet and expenses all in the one program. I think it deserves a more updated interface. Very outdated. Would love the option to customize it more as well. Currently there are no business problems I am solving with Ariba. One of the benefits I've realized is that it is reliable! I love seeing that I can track the status or history of modifications of something. That definitely comes in handy. "Limited leads in my industry but great tool for suppliers to find buyers"
Sort through industries and product categories to find RFIs. Buyers describe their specific leads and purchase volume so it's easy to find qualified leads. Submit the required payment for each lead to contact the boyer. Cannot open multiple RFI pages in different tabs. Emails from "supplier consultants" to remind me about RFI's expiring get annoying, they do not really curate to make sure they are in fact matching leads. You don't need to pay anything unless you decide to contact a lead, give it a try if you are selling B2B! One channel to find buyers for my business. They may not be otherwise reached by facebook marketing, google adwords, direct mail, etc. This are concrete business leads. "Ariba allows me to order what I need from Office Depot for the office pretty easily"
Sometimes I have trouble getting to the Office Depot website - I click on the icon and it takes me to a page with the website and when I click on the website sometimes it takes me to the site and I'm logged in and sometimes I'm not so I have to go back - I end up just clicking on all the links until one of them works! "Useful tool that simplifies purchasing"
My favorite aspect of Ariba is the program's ability to condense various catalogs into one, easy to navigate portal. I also appreciate the platform's billing component. It is extremely simple to use various accounts, funds, and internal orders with Ariba's system. At least at my organization, we have had several instances where the Ariba platform has crashed or is unavailable due to bugs and glitches. These problems are generally resolved within a business day. Be patient with this program as there is a learning period. This program has helped to solve the problem of purchasing through various and differing vendor platforms by condensing multiple vendors into one, easy to use, easy to bill platform. We have realized the benefit of being able to track funds from initial requisition, through the approval process, and until the shipment is received. "Ariba the One solution for complete Procurement and vendor management tool"
Ariba solution make it easier for enterprise to collaborate and effective work management. Installation requires no costly hardware or software as it's on cloud no software or hardware is required. Ariba helps business in driving compliance and easily managing vendors. Managing and saving contracts digital contract is awesome with cool features such as quick summary notes. Powerful search and reporting capabilities are very useful. Ariba is sometime slow and there are many time downtime which effect business. Creating new modules is not easy and require training sessions. Ariba should integrate OCR contract reading for the scanned PDF contract documents. Ariba Saas-integrated platform is helpful in managing the entire P2C and contract lifecycle for all the vendors. That it is online. that is it. It is still less convenient than most offline methods though due to the problems outlined below. Internally we refer to the Arriba system as the "stone tablet and chisel system" because that's how advanced it feels. Unless you have massively specific requirements, don't. Your suppliers will think less of you or worse yet simply avoid the hassle of working with it all together. zero benefits in fact my company has chosen to exit procurement processes that use this system where the value to us is not extremely high. "Ariba Review from a System Admin"
Every aspect of the system is configurable: from creating groups that allow different levels of user access to creating different types of purchases. My company owns several Ariba modules and when set up correctly, the flow between modules can be really great. I can set up a Contract Workspace that can be invoiced in P2P and then have the data categorized and captured in Spend Viz. For end users who are not procurement minded, the tool is just not intuitive. I think the interface could be simpler, and it certainly doesn't help when you are training people who do not know an invoice from a PO. I have found that sometimes this can make the purchasing process very hands on from an system trainer/admin end: I often have to coach users (including suppliers) through every step of the buying process: requisition, approvals, receipt, invoicing, etc. Definitely buy a chunk of hours with the best practice center. I regularly work with someone from the Ariba best practice center to iron issues with configuring invoice exceptions, tax configurations, approval flow processes. The tool is so powerful and there's so much to learn, it is great to sit down with someone know is super knowledgeable and has seen it all. Ariba is used by the in-direct purchasing side of my company. We had no enforceable purchasing process prior to the implementation of Ariba, so having the system has greatly helped to drive compliance from business partners and has increased the amount of spend we can consider "managed." The tool has also giving my team a lot visibility to where the company is spending money that we previously did not have. "A number of our clients use Ariba for their accounts payable and we submit invoices and receive POs "
We were hoping for better visibility into our clients payment processes - we did get the visibility. We can view online rather than call in, making for a better and more accurate experience. "Good software for both buyers and suppliers"
We use Ariba software with work done by our client, its so effective as it enables quick upload and there is a timer set aside that ensures you aware of the date your current bid is expiring. Enables easy upload of files. I also like the colorful background also also provides a good platform to communicate with clients and maintain world class market integrity. For me its Difficulty in finding the compose message page when replying emails. Its really a good software for suppliers and market leaders in terms of quality, service, and cost. It was nice to have all vendors in one data base system (when performing vendor look-ups). It was also nice that system could send automatic reminders to vendors regarding supplier information update. The initial set up was a pain. Buyers were chasing vendors to sign up for the program. One source for current vendors and great way to mass communicate. "Power software when used properly"
There is quite a steep learning curve to learning how to use the software. There are just so many options and features when you first start out and is not very beginner friendly. It would be great if the company provided someone who could walk you through the basics and teach you the ins an outs. Definitely seek someone with familiarity with using Ariba and seek their guidance when jumping in feet first! Automated invoicing and centralized repository are the main benefits for us using Ariba. Can connect with other business to understand their value. Its useful for contract management. The UI is a bit antiquated and some of the tools, while useful seem like they are embedded in a system that has not evolve quickly enough. There are other services out there. In a large corporate environment you are sometimes stuck with what you are given. It does the job but do your due diligence to see what matters to you. Cloud computing is the future and that's what this product deliver . It reporting capability is quick and transparent as its sits on HANA platform. "Overall, Ariba is a useful P2P tool"
I like that this program is very organized, easy to use, and that it handles procurement and invoicing all in one system. Sometimes Ariba is slow to update. For example, it says a service order is still underfunded when the service order has already been fixed. It also takes a while for Ariba to update with information from SAP. "Potential to change the way companies buy!" This tool has great potential and will be used more with time. Any company would like the transparency this tool provides. Time saving is an added plus point in various aspects. "It's somewhat challenging and seamless when it works correctly"
The navigation portal is user friendly. You can look up the updates for payment easily linked to a Purchase order and invoice. The interfacing time between Ariba and SAP takes a long time. It's difficult to adapt to when trouble shooting because of a system bug or technical error. Ensure proper testing before go live. We are solving a better way to reconcile invoices to the PO. There are minimal stop pays through Ariba due to the exception option. I like the fact that everything is housed in one place. And I also like the Staples Office Supply interface. Save items to your shopping list. It makes reordering much easier. I've realized the benefit of letting a third party handle this process. "Contract Sourcing and Contract Repository"
Ariba links with my corporate id so I do not need a seperate login. RFP invitation emails do not include company logo. Very clunky system that is sometimes hard time navigate. My suppliers have all had issues accessing certain content. Cannot mass upload suppliers with ease. Get supplier feedback from those who have interacted with it. Make sure your company has an Ariba support team that are expert users because mistakes will be made and are hard to correct. Sourcing aircraft material. No benefits from using Ariba other than having all data stored within the system for reference later. Nothing. I keep getting messages that says my profile is incomplete, but when I sign on I can find nothing that needs to be completed. My customer can find nothing incomplete from their side. I do not know if this is prohibiting me from pursuing work with my clients that use Ariba. Cannot communicate with a live person about my issues. "Excellent application for tracking expenses"
The ability to track all of our expenses in one centralized location. The application was slightly difficult to understand. Could be more user-friendly. Took me a while to get a handle on the application. Tracking expenses throughout the company. Centralizes all of our internal expenses into one application which makes it east to track and review expenses over a given period of time. Visibility and approval chain to move things forward. Errors are not always clear and you have to dig in to find out why you got errors. Easy implementation. Good PO system. There is nothing I like about it. Our customer forced us to use it and I do not care for it. It is difficult to use, cumbersome, and slow. I hate the appearance of the site. It is hard to read and difficult to get into too. I believe it supposed to provide billing easier. I do not know that end of it. "Would never recommend Ariba to anyone"
"Challenging software but not a lot else is better…"
Cumbersome to use, difficult to navigate, slow. Ariba UI is good, mobilized, good look. "Submitting invoices for payment for a customer." The ease of navigating putting in invoices. Everything is clearly marked and it will let you know when you've missed something. The freezing up. It will periodically freeze up and close out. It has made it easier to track invoices to see what is keeping them from being paid. Fairly simple to use. Ariba is an intuitive application that does not require much training. There isn't much to dislike, I am not a frequent user but when I do I don't have an issue with it. I have used Ariba for purchasing. It is a good tool to use for supplies. "Poor usability when used with little customization"
It has built in functionality for most purchasing functions. So companies dont have to develop all of those features in their system. Ariba definitely automates the workflow of purchasing. The usability and customizability of the product is very very limited. From a user perspective it is very hard to use. If an organization intends to put up with the limitations of the UI , it probably is a good tool. Otherwise it could cause of lot of frustration in the user community. Make sure that you have customized the user interface and the workflow to your business' needs to get the most value out of Ariba. Especially if you have a large user base then it will be more important to focus on this part. E mail notifications coming out of Ariba are also a critical aspect of the system. Ariba send out way too many e mails to users when they dont need to be notified. On the other hand, it sends too few e mails for the areas where they would like to be notified. Automating purchasing and invoice receipt process. Majority of it is automated using Ariba. It has eliminated the need for e mail approvals etc. "We use Ariba as a supplier"
I think that sometimes the Ariba platform can be hard to navigate if you are not familiar or a daily user. Ariba is user-friendly for the most part. I have trained users and they don't face many problems. After submitting a couple of invoices they feel pretty confident. Engaging consultants to assist with a wide variety of business topics, from regulation, strategy, assurance, controls testing etc. * We monitor all Ariba reviews to prevent fraudulent reviews and keep review quality high. We do not post reviews by company employees or direct competitors. Validated reviews require the user to submit a screenshot of the product containing their user ID, in order to verify a user is an actual user of the product. Hi there! Are you looking to implement a solution like Ariba?